Matt Ledbetter (Thomas Mann, ME AND EARL AND THE DYING GIRL) is a freak. 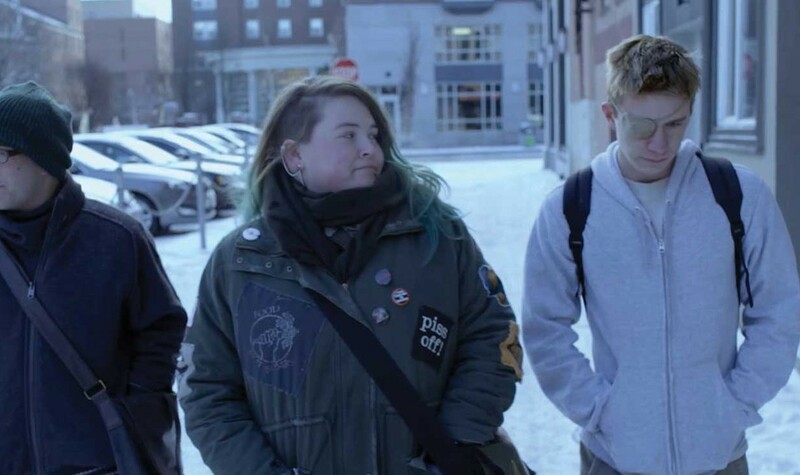 Living with his struggling single mom, protecting his gay best friend, and wearing an eye patch everywhere he goes, Matt couldn’t be more different than the other kids at his high school. Everything changes when he meets Jill (Lily Mae Harrington, THE GLEE PROJECT), who is exactly what Matt needs – fearless, smart and hilarious. As Jill and Matt begin their charming courtship, for the first time they both begin to forget that they live in a world that neither accepts or acknowledges them. After Jill goes to college and loses weight, the distance between them widens and they are propelled on a collision course as they confront who they were, who they are, and who everyone thinks they’re supposed to be. SOME FREAKS is executive produced by Neil LaBute (THE SHAPE OF THINGS, IN THE COMPANY OF MEN). Ian MacAllister-McDonald is a playwright, filmmaker, and educator from Portland, Maine. He holds an MFA in Playwriting from Brown University, where he also taught. He is the recipient of two Edward Albee Foundation Fellowships, a MacDowell Colony Fellowship, the Visionary Playwrights Award from Theatre Masters, and a Playwriting Grant from the National Endowment for the Arts, among others. "An outsider romance that rings true." "A determinedly less sanitized version of the classic John Hughes high-school-misfits-seriocomedy."